How to install SABnzbd on Windows? Home Home Server How to install SABnzbd on Windows? SABnzbd is a free and open source newsreader that makes Usenet as simple and streamlined as possible by automating almost all tasks. In my other post, I described how to install SABnzbd on Ubuntu. In this post let us look at how to install SABnzbd on Windows. SABnzbd is a must have companion for apps such as CouchPotato to download movies and Sick Beard to download TV shows. These when combined with XBMC currently offers the best automated Media Center. After CouchPotato and Sick Beard pass the NZB file to SABnzbd, it takes over and downloads, verifies, repairs, extracts, and files away with zero human interaction. You will need a reliable news group access from Usenet services such as Astraweb for SABnzbd to work. SABnzbd runs practically on any OS, has customizable themes, allows remote access, and is totally free. So lets see how to install SABnzbd on Windows. It is very easy to install SABnzbd on Windows. 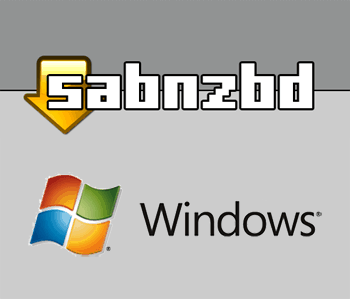 Visit SABnzbd downloads page, download the Windows Installer and run it. Follow through the setup wizard. Check “Run at startup” if you would like SABnzbd to autostart during Windows boot. You are done when the installer finishes. 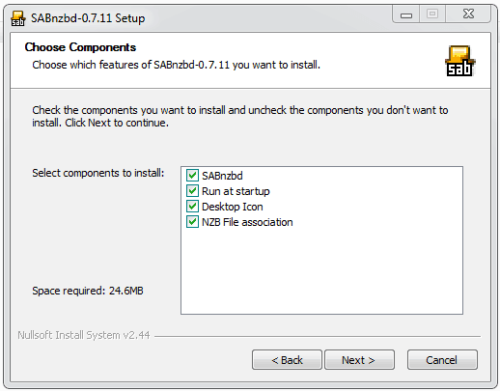 After you install SABnzbd, you can proceed to configuring it as described in the following post: How to Configure SABnzbd?. It explains all the settings in detail with screenshots. After configuring your SABnzbd, you may return to this post and continue. Thats it. Install SABnzbd and enjoy your media center.